They simply couldn't prgram her holographic performance in time... that's all. So, when she has to admit herself to the hospital next Monday and misses the debate would she gain sympathy votes or kill the campaign. I am thinking they are thinking the same thing right now. It's real possible we have been watching file footage and heavily edited videos and pictures. Not hard to do and not beyond the Clinton bag of tricks. 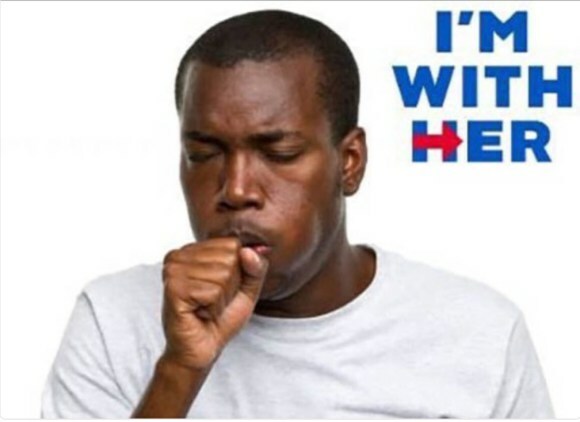 What I believe: There's no Pneumonia. Her 'pretending to be sick' is simply a ploy to keep her off the TV. Every time she shows up on TV, her numbers tank. Her campaign team is probably going to stage a major health comeback. They're betting The Don won't go into full-assault mode during the lead-up and kick the ever-lovin'-s#!t out of her while she's down.